“What gives me the greatest joy is to look outside every day and see God’s creation - maybe a little bit from his perspective,” Bresnik, 50, told Pope Francis. Far from wars, famines, pollution or human folly, he said “the future of humanity looks better from up here”. The ISS, which has been continuously occupied since 2000, is currently crewed by six astronauts, who took it in turns to speak to the pope. 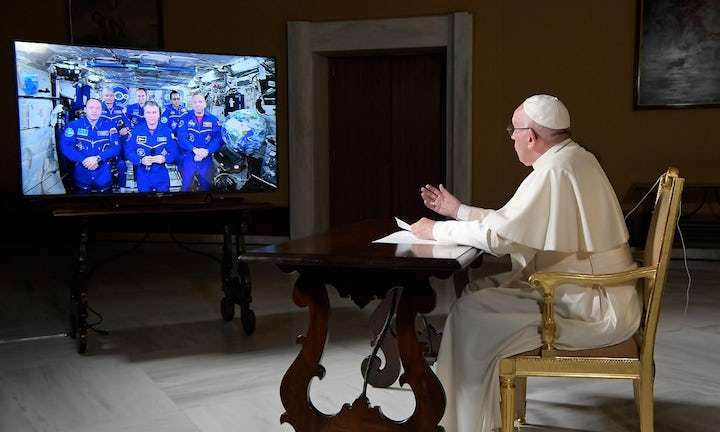 Sergey Ryazansky told the pope he was honoured to follow in the footsteps of his grandfather, who had worked on the launch of Sputnik, the world’s first artificial satellite, launched by the Soviet Union in 1957. Francis is not the first pontiff to reach for the stars. 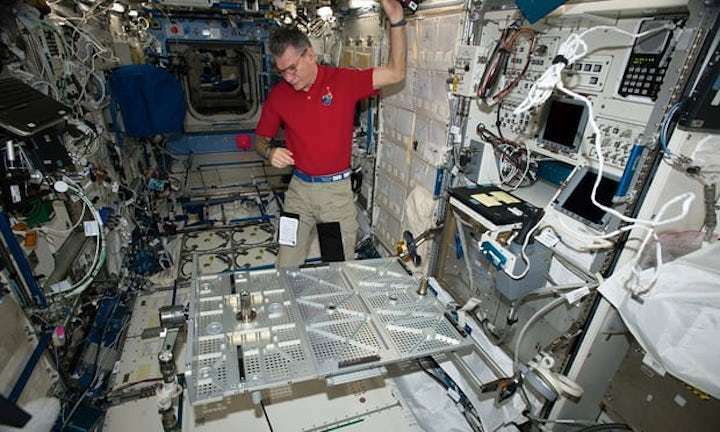 His predecessor, Benedict XVI, called the ISS in 2011, when Nespoli was on the second of his three missions.